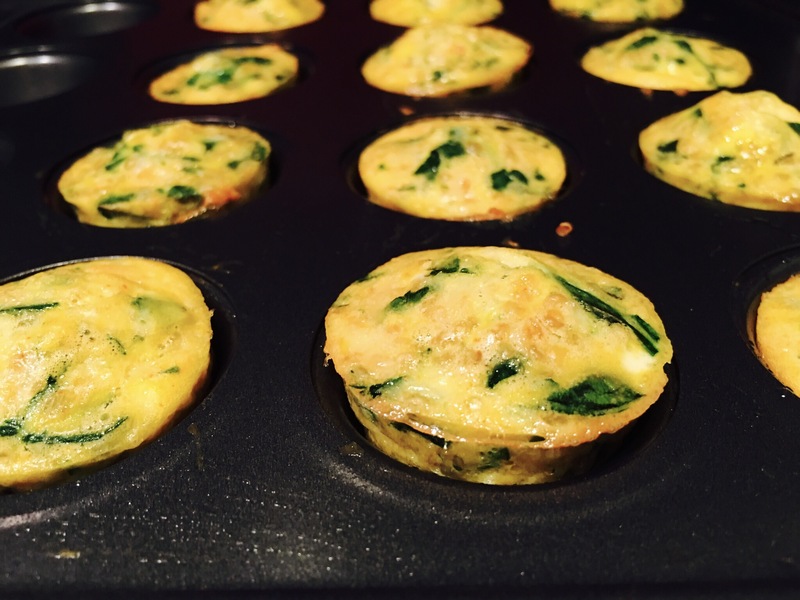 Quinoa, egg, spinach and cheddar mini-frittatas – Hurried Home Chef! 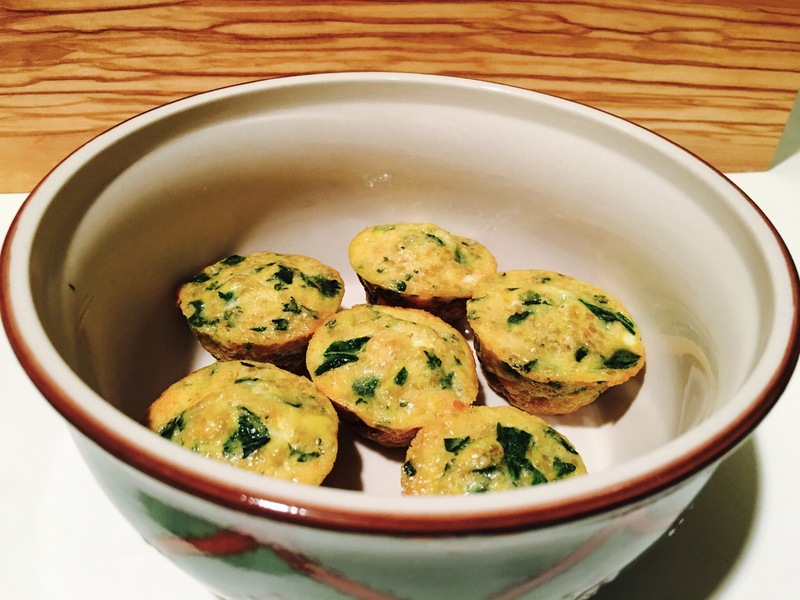 If you are not a morning person, these are good to make the night before and can last in the fridge for a few days. You can heat these before you leave the house and eat them in the car on the way to work. 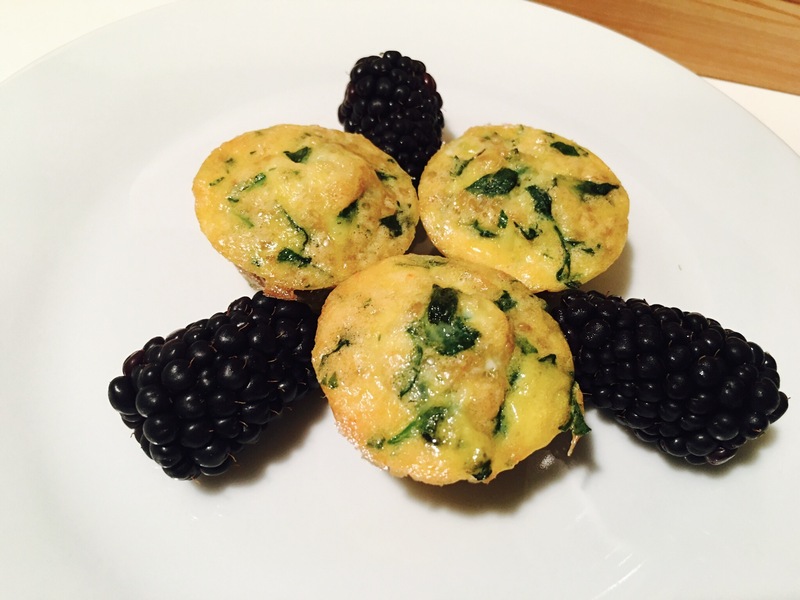 If you have a breakfast meeting or even a brunch, these make a cute and easy finger food that is healthier than the standard sugary treats. 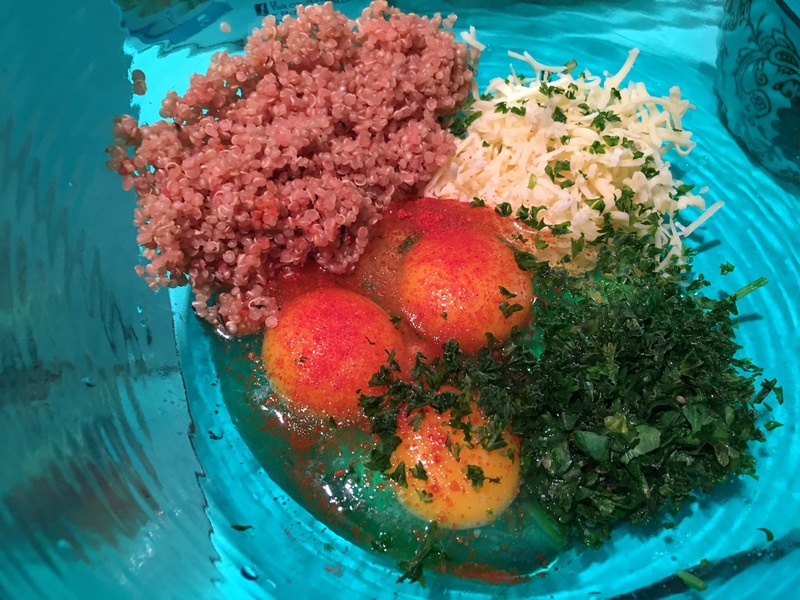 Here I mix 1/2 a cup of cooked quinoa, 4 eggs (or 6 egg whites), chopped fresh spinach, cheddar cheese, parsley, and hot pepper. Once you mix it together, it will be sort of like pancake batter, not too runny. Use cooking spray to be sure they don’t stick. I used a mini muffin tin to make them easier to eat in the car, and because they are cute. I put one tablespoon in each. Bake at 350, after you preheat it, for about 9-13 minutes. 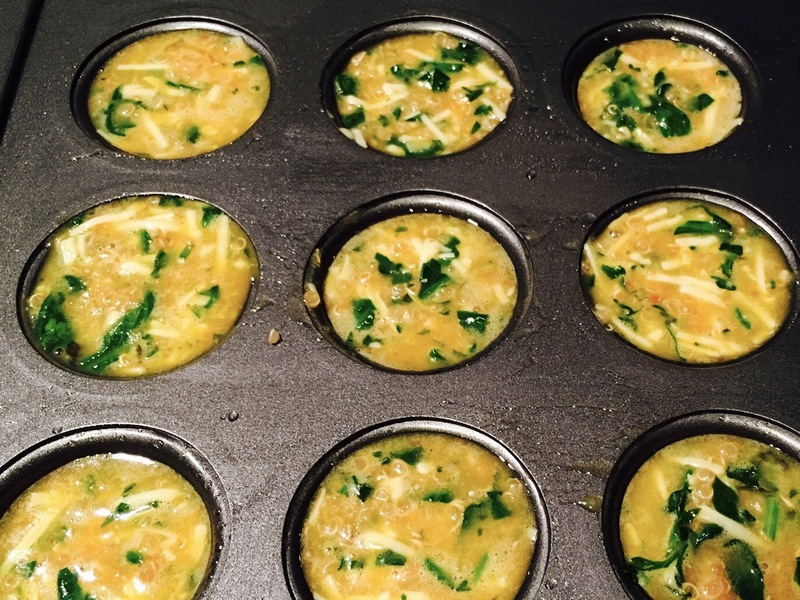 If you are using a regular muffin tin, you can fill them half way and try 15-18 minutes. I got a little crust on the outside, which I liked. Pack up for a breakfast meeting or to share with the work crew! Or make it look pretty and just eat! You can do this with a variety of combinations. The key is to not have a veggie that gives off too much water. So if you want to use tomatoes or mushrooms, you will need to sauté first to let the water evaporate before you mix and bake. 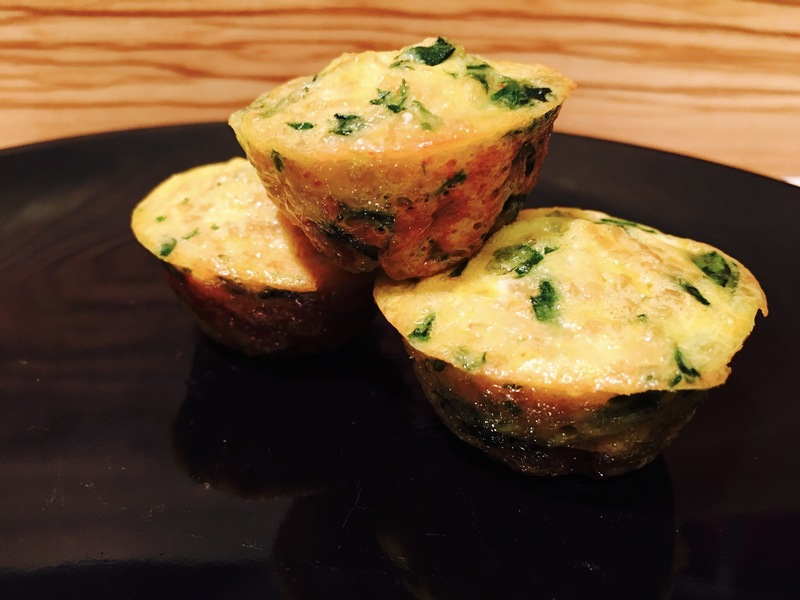 This is a great way to get your protein without the bread! 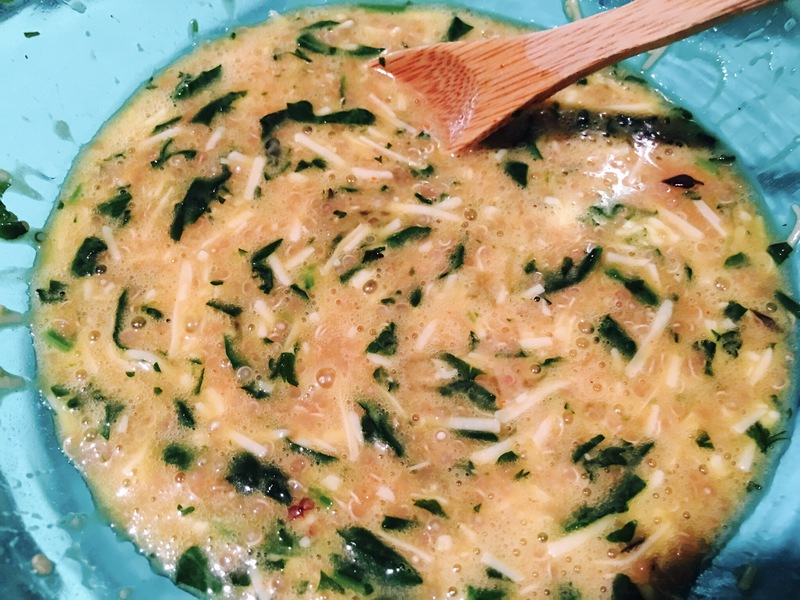 1/2 cup of cooked quinoa, 4 whole eggs, 1/4 cup shredded cheddar, 1/3 cup of raw chopped spinach, ground hot pepper to your tolerance.